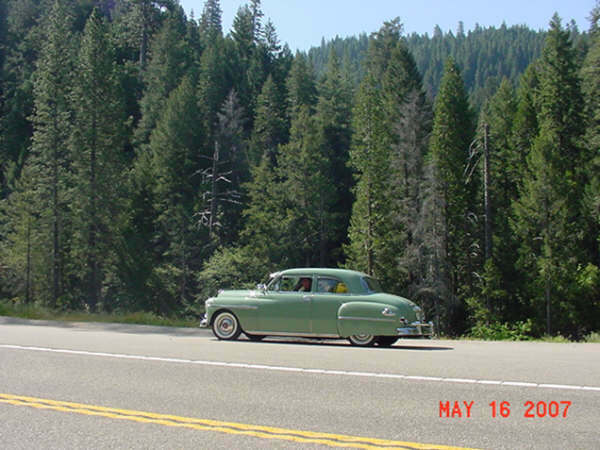 Helen Montgomery and her fiance, Bill Gellert of Franklin Grove, took a trip to California and back in his 1950 Plymouth during 2007. She kindly sent the following story that Bill wrote along with the fabulous pictures! Enjoy! We stayed pretty close to the Inn today as we had things to do. We washed the car, did some laundry and sorted things out. Today was my birthday so Helen surprised me by scheduling a massage for us. It was wonderful! We spent the rest of the day meeting new Plymouth friends as people were arriving for the meet. We took our own field trip to Solvang, a Danish settlement. What beautiful flowers we saw in this picturesque Danish town. There were so many little adorable shops. While we were waiting for a restaurant to open that had been recommended to us, we stumbled on a most delightful square in the middle of the block. It had a twinkling little fountain going, grass and flowers everywhere. It was very pleasant and relaxing. We went to a Danish smorgasbord for lunch and had herring, duck pate’, open sandwiches, meatballs, sausage, cheese and many other delicious things. We went on a trip with the group to Jerry and Diana Thompson’s delightful ranch south of Santa Maria where we ogled at and drooled over their wonderful collection of cars and trucks. It was beautifully arranged complete with old gas station items, old gas station and highway signs, old toy vehicles and other oddities. They even had a full size diorama with mannequins. It was a real joy to see. My biggest reaction was that I would have to paint the floor in my garage now. It really made a big difference on how things were presented. That evening we went to a melodrama in a nearby community with Carl and Jillain Wegner. The play made fun of Minnesotans and was extremely funny. The skit that followed the play was a cat/dog vaudeville play. It was purr-fect with plenty of wow-sing songs. The piano player really rocked. We had a nice drive north on Highway 101. We stopped in Ventura for lunch and took pictures of the Plymouth by the Pacific Ocean. Continuing on we passed acres and acres of vineyards. They were absolutely beautiful. 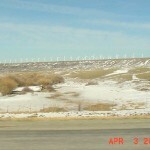 We continued up 101 to Salinas, and then cut over to Hwy. 1 to Santa Cruz. After that, we took Hwy. 9 over the Santa Cruz Mountains through Big Basin. We then took 280 into San Francisco, got off on 19th Street and proceeded through Golden Gate Park to the Bridge. Fortunately it was a clear day and we were about to see everything. 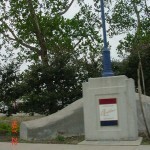 We made it to the Marin side of the bridge, got out and took pictures and headed off. 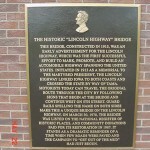 We went north to 580, crossed over the Richmond-San Rafael Bridge and connected with Interstate 80. In Vacaville we stopped at a fruit market and loaded up on fresh cherries, peaches, tomatoes, some dried pineapple and some nuts. We got to Wayne and Lynne’s about 7 pm and they had dinner ready for us so we all sat down and had a wonderful home cooked meal. We also spent quite some time in catching up. It was great to see them again. Surprisingly, their dogs remembered us and it was like a homecoming. Helen had spoken to Lynne about wanting to pick up some California souvenirs and they decided to go into Old Auburn. They made it into town just before noon and went to a restaurant named Awful Annie’s. They had a wonderful “California style” lunch complete with bean sprouts. Old Auburn was nice. There were many upscale antique and gift shops. 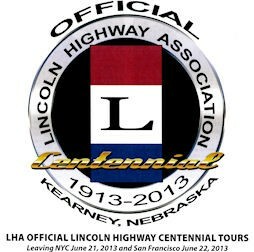 Helen was able to take the Lincoln Highway through Auburn and saw where they have the car cruises in the summertime. Wayne and I had taken off to visit Sacramento Vintage Ford for supplies that Wayne needed and took the opportunity to stop for hamburgers at a historic Drive-in Restaurant on the way home. Lynne had told us there was a luncheon she was going to with a couple of other ladies and invited Helen along. Helen met two of Lynne’s friends and had another “California style” lunch, again with bean sprouts. It’s a wonder she doesn’t have them growing out of her ears after two days straight. Wayne had some errands to run so he and I took off to complete them. We met with a couple of Wayne’s friends for lunch at a little restaurant named Edelweiss. Once again, excellent food. On the way back to the house, in the driveway, a coyote ran across the road in front of us. It was a lot different from the coyotes I had seen in the past. This was gray and black compared to the tan and black ones I have seen in San Diego. We got up early and reluctantly said our goodbyes to Wayne and Lynne. We took Hwy. 49 through Cool and Colma, very pretty towns. There was a lot of antique stuff, pretty bridges and tall trees. We connected with Hwy 50 and headed towards South Lake Tahoe. The sights we saw were incredible. It was so pretty with tall trees straight as arrows reaching skyward. 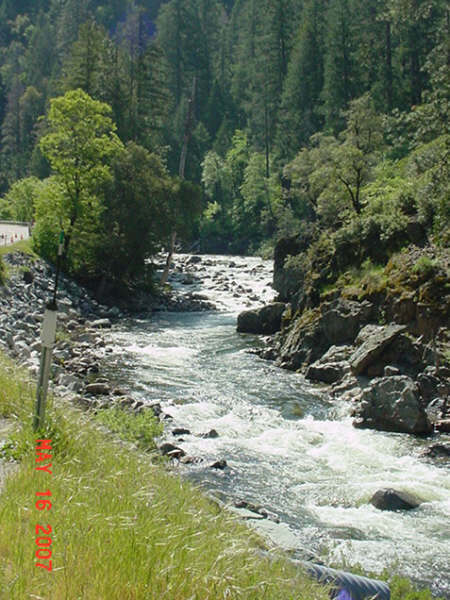 The American River was running beside us with waterfalls and white water rapids. We had to stop a couple of times due to road construction and were really glad to have the chance to step out of the car and take more pictures. We even got up to the point that there was snow accumulation. 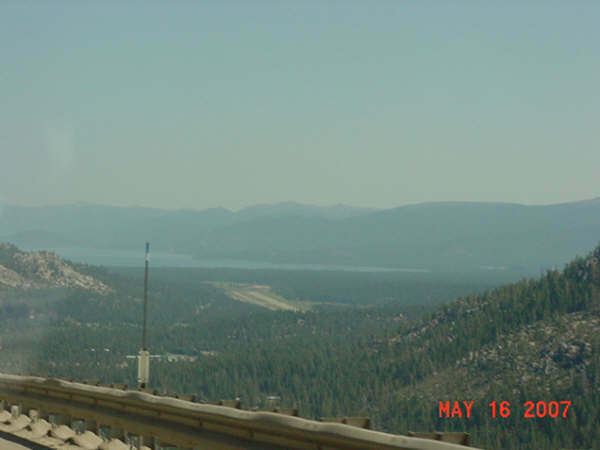 Driving along, everything was fine and all of a sudden we rounded the corner and there was Lake Tahoe several thousand feet below us. We could clearly see the airport and several casinos off in the distance. Wow. It was so beautiful that it took our breath away. The California side of Lake Tahoe was full of motels, restaurants, bars and other touristy stuff. 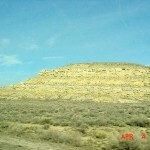 As soon as we reached the Nevada state line there were the high-rise hotels and casinos. What a difference! Thankfully, there were not many of them and before long we were climbing the other side of the mountains towards Carson City. We stopped at the Nugget in Carson City for lunch and to give the slot machines a little Illinois money. After an hour we left and headed toward Fallon. 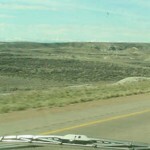 At Fallon, we filled up the car for our trip along was billed as the “Loneliest Road in the World”, Hwy 50. 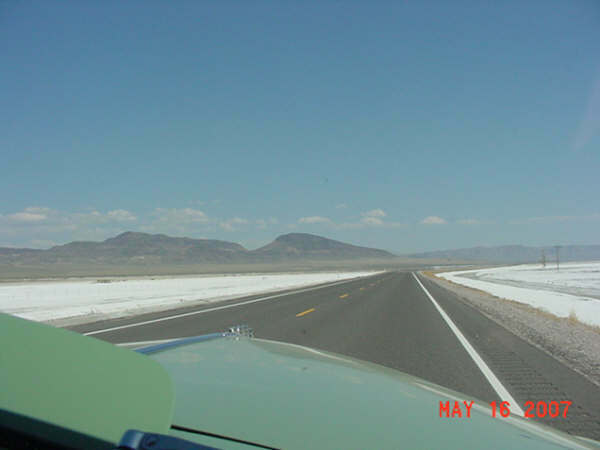 What a sense of vastness you feel going through the desert and salt flats of the area. The salt/sand was so bright white in the sunshine that it looked like snow. 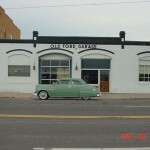 We spent the night in Eureka, Nevada. Eureka is a typical old western town. We walked the two blocks to a restaurant and enjoyed the atmosphere. 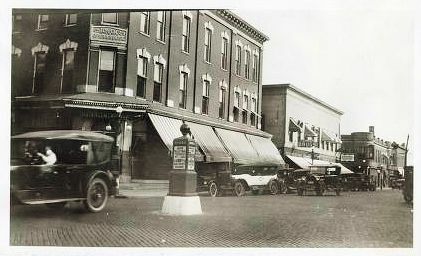 The Owl was not only a restaurant, but also a bar, pool hall, casino and dance hall. LOTS of animals hanging on the walls. This morning we were off to Ely. 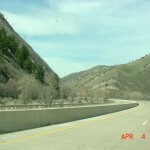 We went through a lot of steep grades with lots of curves. 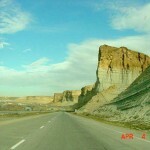 We then continued across sections of desert followed by mountain passes and finally passed over the Salt Lake Basin. 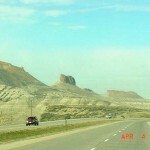 We got to Hinckley, Utah and pulled off the road to check the oil and radiator levels. After topping off the radiator we determined everything was fine. We got back in the car and I turned the key to hear only a “click”. After determining that the lights and horn worked I jumped the spare battery that I carry with me right to the starter. Once again, nothing but a “click”. After 57 years of starting the Plymouth the starter said “I’m done”. I had two extra fuel pumps, distributor, generator, oil pump and all kinds of other parts, but, no starter. A couple of the locals came by trying to help. We tried push starting it however we were sitting on loose gravel and could not get it to start. Fortunately, we were at a little grocery/Sinclair gas station and the people there were very helpful. We contacted AARP and they sent a tow truck out to us. 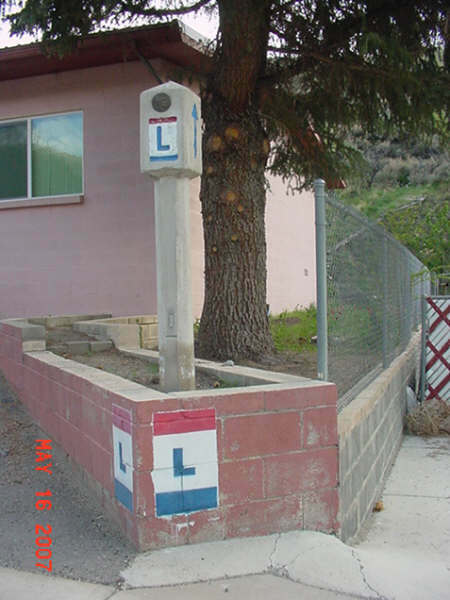 The tow truck was from Nephi, which was 56 miles away. We had a nice drive there with the tow truck driver. He told us about some charcoal kilns that the settlers used which we passed on the road. He also recommended a hotel and restaurant to stay at. We had him drop us and the Plymouth off at our hotel and I got on the phone. We were on our way to see Bill and Betty Ward in Sandy, Utah so I phoned him to let him know we were not going to be there this evening. Bill said he had a starter that would fit. Bill and his son Rick jumped in their van and brought it to us. It was about a 70-mile trip for them each way. They arrived about 10 pm and, after some time had elapsed we had the new starter installed and plans were made for us to get together the next day. We slept in a little bit and moved to a hotel closer to Sandy. We met with Bill and Betty about 3 PM. What a delightful couple. We had a nice visit, and then the Bill and I went out to check out our cars. 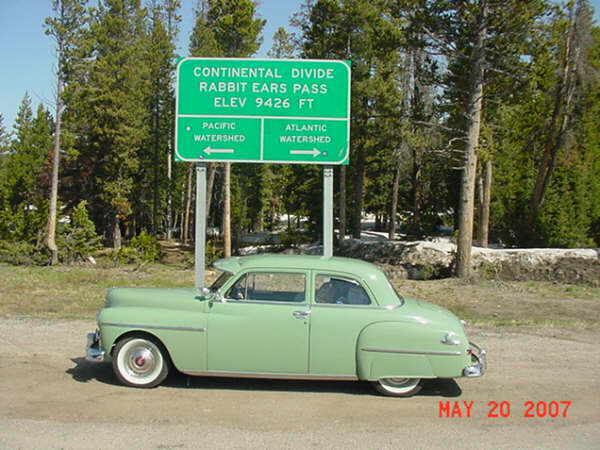 Bill has two 1950 Plymouth Club Coupes and the cars looked great all parked together. We then got in their van and they gave us a very nice tour of the Salt Lake valley. 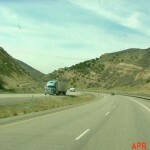 We saw Little Cottonwood and Big Cottonwood canyons, the “This is the Place” Monument, University of Utah, downtown Salt Lake City, the Capital, Temple Square and the Union Pacific train depot. We then drove down State Street to Draper where we had dinner at a nice barbeque place. After dinner we went back to Bill and Betty’s home and bid our farewells. It was very nice to be welcomed into someone’s home, their not really knowing us, and being treated like family. Belonging to the Plymouth Club has allowed us to meet the nicest people. 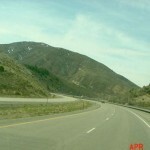 We left Salt Lake City and headed East. 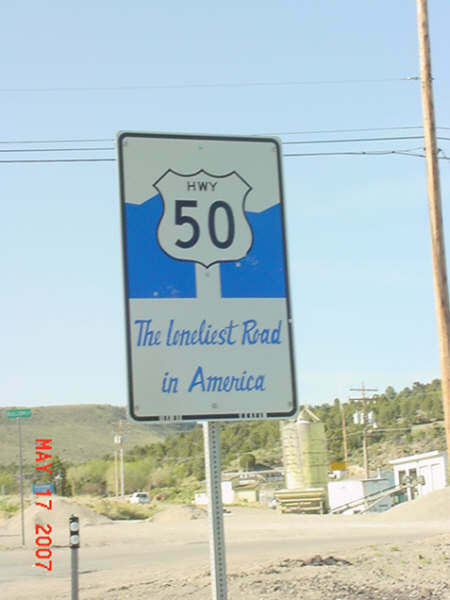 We were on Highway 50 and enjoyed the trip. 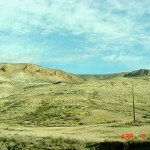 The road went through more sparsely populated desert areas but they were a little greener. Then we started to climb . 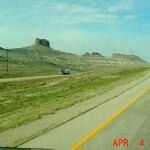 . .
We went through Craig, CO and decided to drive a little further to Steamboat Springs. We got there still relatively early and checked into this wonderful motel named the “Rabbit Ears”. At first I was a little hesitant about staying there but it wound up being one of the best nights we had. Our room was on the 2nd floor, we had sliding doors out to a balcony and from the balcony you could see and hear the rush of the creek along the back side of the motel. There were kayakers traversing the river, ski slopes all around, quaint little restaurants and hotels. We asked the lady at check-in about where to eat and about a place named Strawberry Park we had read about. She directed us to a restaurant named Johnny B Good’s for dinner. We had a great meal with lots of 50’s memorabilia around. We even had green rivers. (Remember them?) We went back to the hotel, changed clothes and off to Strawberry Park we went. We were told it was 15 minutes from town. Strawberry Park is a series of natural hot springs that had the cool creek water running nearby so the waters mix and make it nice for soaking. The road there was a great adventure. We started out in town on hardtop. Then it went to a smaller hardtop and finally dirt for about 3 miles. We went up hills, down hills and around curves that so sharp you could not go over 5 mph. The scenery was gorgeous even through dusk was descending into the mountains. We finally arrived at this area in a valley with tall trees all around. We paid our admission price and proceeded down a series of gravel trails and stone steps to the springs. We went into the first pool to find that it was a bit too hot. We were told it was 105 degrees. The second pool was supposed to be 101-102 degrees and it was perfect. We luxuriated in the feel of the water rushing past while we were soaking in the hot water. There were some other couples and singles there that were also taking advantage of the springs. After awhile we were about the consistency of prunes and decided to go to the third pool, which was about 98 degrees. We found a nice little place to sit and enjoyed watching darkness fall. The sky was so dark the tall pines were silhouettes against them. There were at least a billion stars in the sky. It was incredible. Reluctantly we left Steamboat Springs. We read in one of the brochures we had that once you go to Steamboat Springs, it pulls you back. Who knows? We can certainly see why. 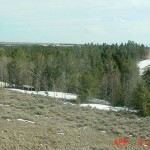 We went over the continental divide and there was still some snow on the ground. We proceeded up the mountains and finally peaked at 10,276 ft. elevation. Climbing up the roads and looking down into the valleys with their clear blue lakes was absolutely amazing. 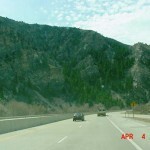 Aspen trees were intermixed with the pines as we made the transition to the heart of the Rocky Mountains. Words just don’t seem to do justice to the beauty of this land. Songwriters have written songs and artists have painted images of these mountains for decades and still don’t seem to do them justice. We took over 100 photos that day. While driving we were able to see several animals of the area. Helen’s greatest pleasure was seeing moose for the first time. We saw three moose, a couple of deer on the side of the road, antelope in the fields and prairie dogs. As we descended into the eastern side of the Rockies we were driving alongside this wonderful little white water stream. It was full of kayaks and as we got closer and closer to civilization, white water rafters. We passed by one rock formation known as the “Sleeping Elephant” and another one named “Profile” We stopped for lunch at a café in Glen Echo and had another great hamburger. 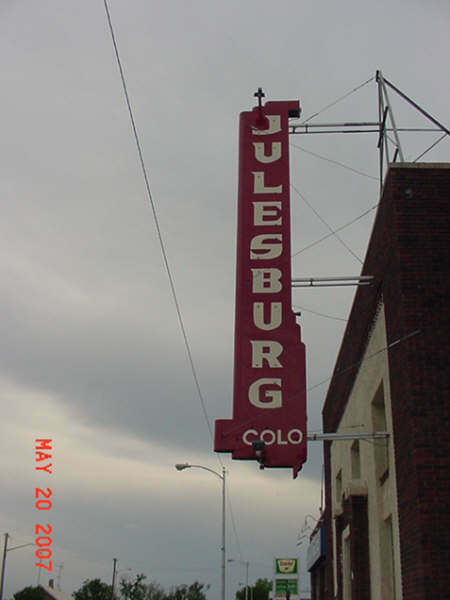 We drove through Julesburg and then crossed into Nebraska. We went through Ogallala and pulled in for the night in a little town named Paxton. We stayed at a Days Inn that was owned by Ole. We found out that Ole also owned the RV park, the gas station, the car wash, the bar, the café, the steakhouse and just about everything else in Paxton. We read and were told that the steakhouse was the best place to eat so we went there for dinner. This was an adventure in itself. We walked to be greeted by a huge polar bear followed by the most wonderful bar we had ever seen. It was carved oak with a marble slab top. Behind were mirrors and liquor bottles lined up with two gilded Schlitz girls holding the world in their hands. There were over 200 mounted animal heads hanging on the walls. Helen walked around taking pictures of the polar bear, buffalo heads, boars, zebra, elephant, giraffe and various African animals that we had never even heard of,. It was a sad experience to see these wonderful animals, knowing that they had been shot just to be stuffed and mounted on someone’s wall. 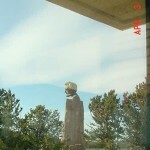 Apparently in the 50’s and 60’s this Ole was a “man’s man”. We enjoyed a free breakfast at Ole’s Hotel. It consisted of the usual light fare. Then we were off and back on the road again. We crossed in Nebraska. 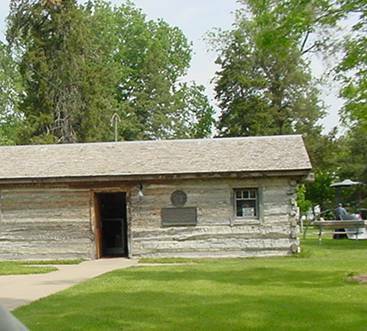 We came to a little town that boasted the original Pony Express station. 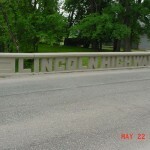 Several miles further we passed a restored Lincoln Highway bridge and stopped to take a photo of it. We had passed a Chevrolet Museum on Interstate 80 in April on our way to Portland, Oregon to pick up our ’42 Packard and it looked like something worth seeing. We tracked it down and it was indeed worth seeing. 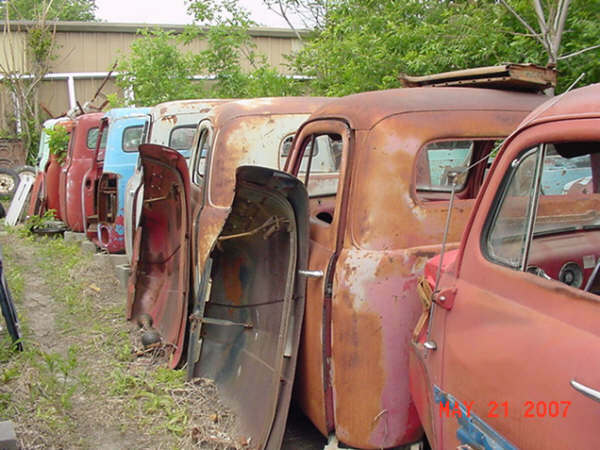 This guy just started collecting Chevrolets and he now has upwards of 75 cars. We arrived at a little town by the name of Gibbon and passed by what appeared to be a salvage yard with old iron in it, so, we did a u-turn (no trip is complete without at least one u-turn) and went back to see them. It was called 2nd Chance Classics, Inc. We met the owner, a very nice gentleman named Dwight Bond. He took quite some time showing us around and, during our conversation we discovered that he knew our VP, Bobbi Burkheimer and her husband who live about 20 miles away. Small world!!!! We were able to purchase a spare carburetor for the Plymouth. We crossed into Paxton, Iowa and decided that we would stay here tonight. We are hoping that tomorrow night we will be home. We got an early start as we were now quite anxious to get home. We had been gone over three weeks. We had fought a very strong cross wind yesterday and today was the same, if not worst. 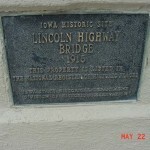 We had read about a restored Lincoln Highway bridge in Tama, Iowa that dates back to 1915, so, we sought it out. What a beautiful job they did in restoring it. 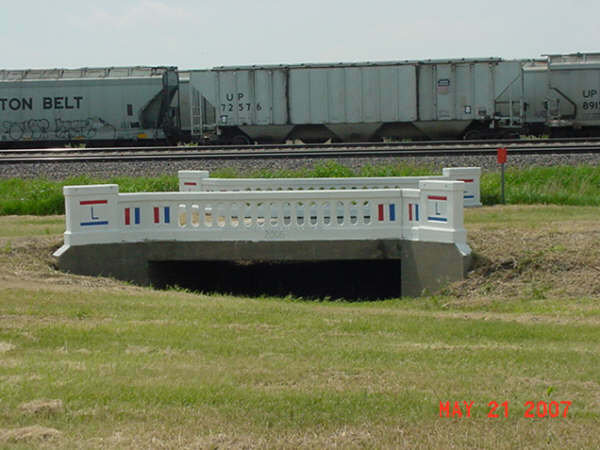 We came across a really neat looking railroad bridge and took photos of it also. 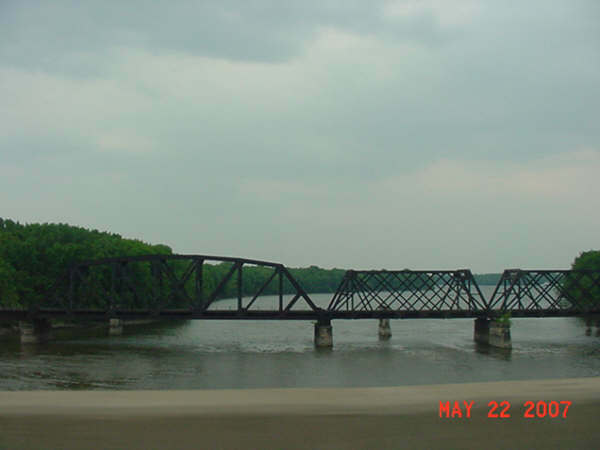 We arrived in Clinton, Iowa and crossed the Mississippi River into Illinois about 3:30 PM, we are now only about 50 miles from home. We got home about 5 PM and ended what was to us the trip of a lifetime. We had 57,516 miles on the odometer for a total of 5,424 miles of “Good Going in our Plymouth”. 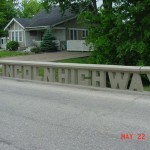 Here are some more pictures sent by Helen Montgomery. Enjoy the beautiful, beautiful scenery!